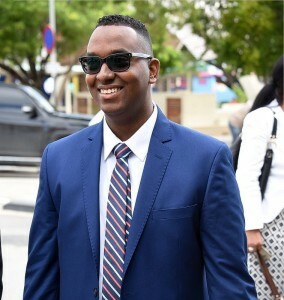 WILLEMSTAD – Opposition party MAN has announced in an official statement that they are proud to have Yaël Plet (photo) as a member of their political organization and therefore supports him fully. The party said this in response to the various raids yesterday stemming from a complaint filed by the Member of Parliament for MAN. The Social Democratic Party further stated that Mr. Plet as a Member of Parliament has sworn an oath and must observe this. It is the duty of every citizen who respects himself to press charges against improper and illegal acts that take place in this country. The Public Prosecution conducted three raids yesterday at the houses of former Prime Minister and current Member of Parliament Gerrit Schotte and former Minister of Traffic, Transport and Spatial Planning Charles Cooper who was also the leader of the MAN party. The case was named Wilhelmina.